On March 14, 2014, Cao Shunli’s (曹顺利) family arrived at the 309 Military Hospital in Beijing to find that Cao had already died. Since she was transferred there from an emergency medical center on February 20, she had been on a ventilator and non-responsive. There have been growing concerns expressed by the domestic and international communities and calls for a full independent investigation into the circumstances leading to her tragic death. In life, Cao was a tireless advocate for building a just society in China. 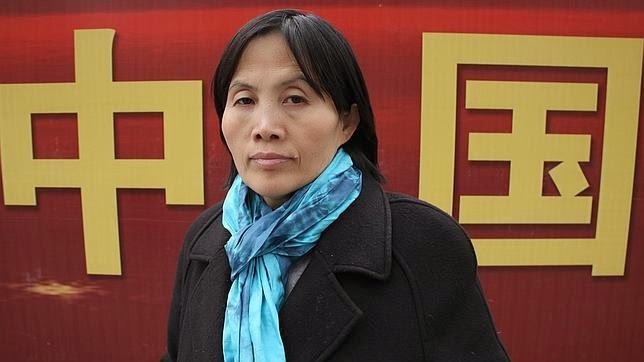 Beginning in 2008 until her enforced disappearance on September 14, 2013, Cao utilized Chinese laws and courts to press for civil society participation and greater government transparency. The Beijing police formally arrested Cao in October 2013, charging her with “picking quarrels and provoking troubles” (寻衅滋事罪). In late October 2013, she indicated to her lawyer that she was not receiving adequate medical treatment for her various medical conditions. Despite several requests by her lawyer for her release on medical grounds, Cao was not transferred out of the detention center to an emergency medical center until February 20, 2014, when she was already in extremely critical condition. That day, she was transferred to the 309 Military Hospital, where she died less than a month later. HRIC is developing online resources, including an ongoing compilation of international and domestic responses and actions by civil society, the United Nations, and governments. Please continue to support these domestic Chinese and international efforts pressing for accountability and a full, independent investigation. Together, we can honor Cao Shunli’s living legacy and stand in solidarity with the human rights defenders in China.